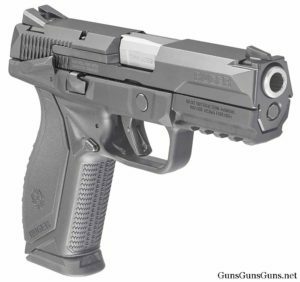 Summary: The description, specs, pricing, photos and user ratings for the Ruger American Pistol. The American Pistol from the right. two nickel-teflon plated steel magazines. 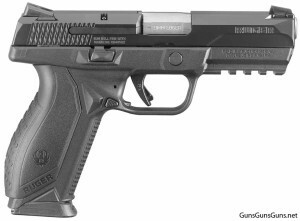 Ruger offers this pistol with either no manual thumb safety, or with an ambidextrous thumb safety. You can take-down this pistol without pulling the trigger. A hard plastic case comes with the gun. 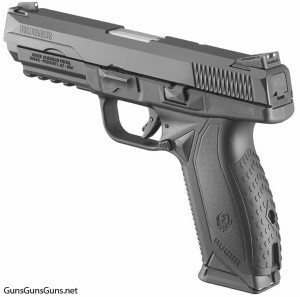 it’s tested the American Pistol for sustained +P ammo use. More reading: An independent writer at The Truth About Guns has written up his early impressions of the American Pistol. 9mm 17+1, 10+1 4.2″ 7.5″ 5.6″ 1.4″ (frame) 30 oz. .45 ACP 17+1, 10+1 4.5″ 8″ 5.7″ 1.4″ (frame) 31.5 oz. The American with the ambidextrous manual thumb safety. 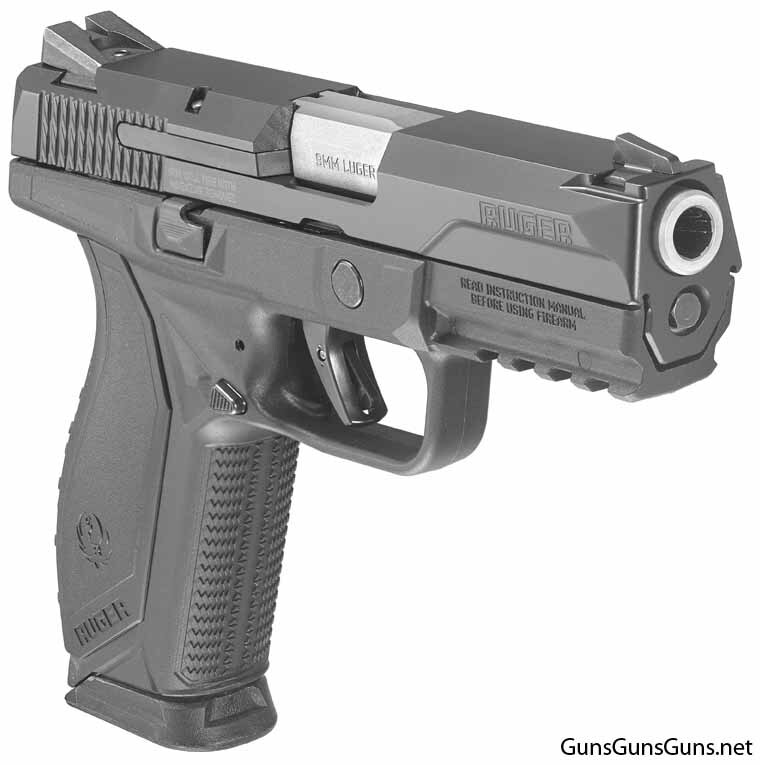 The American Pistol from the left rear. The Ruger American Pistol from the right front. This entry was posted in .45 ACP, $251-$500, $501-$750, 9mm, Full size, Ruger, Semiauto on January 5, 2016 by Staff. Outstanding firearm. Clean lines. Well balanced. Excellent trigger. Has everything I need and nothing that I don’t. It is the most accurate pistol I own.